French Revolution street scene 1792. 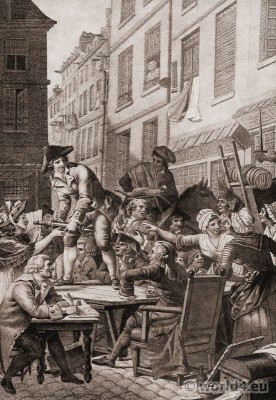 Parisian citizen costumes during the reign of terror. This entry was posted in 1792, 18th Century, France, French fashion history and tagged French Directoire style, French Revolution Costume on 9/26/14 by world4.